All of our rooms have been individually designed to create a special character from the space they occupy. 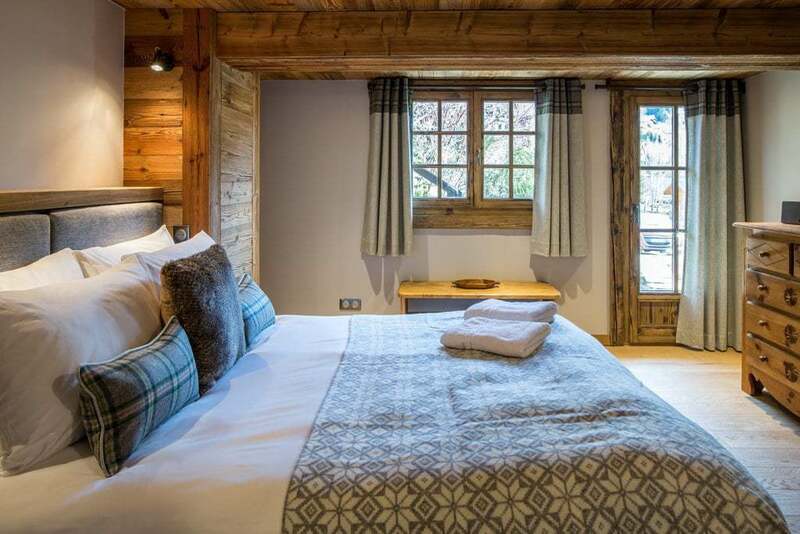 The bedrooms are finished in old wood with interesting nooks, accent lighting and built in storage. 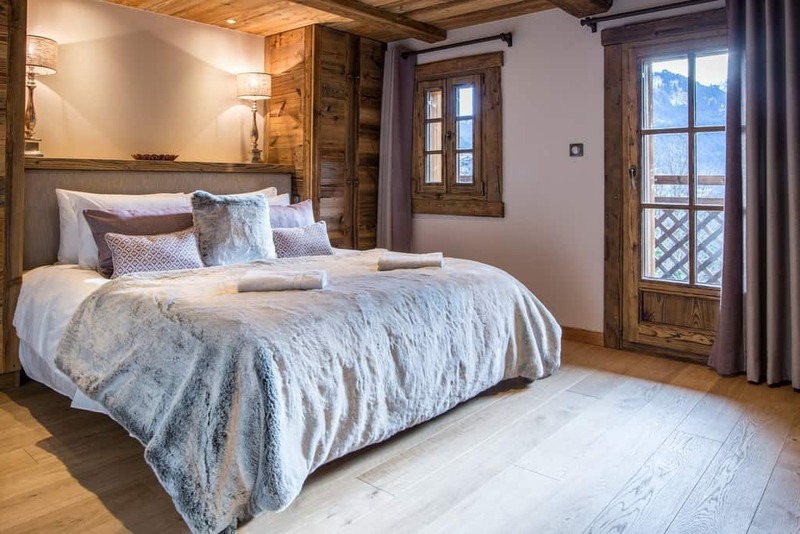 Each unique style is complimented with handmade curtains, cushions and luxurious bedcovers. Controllable underfloor heating is present throughout. All of the bedrooms have access to a terrace or balcony or in the case of Le Grenier, the mezzanine library. Most of the bedrooms are available as double or twin arrangement: see the details below. We can provide a full size extra bed in two of them. We have additional cots for toddlers and babies. All the bedrooms are made up with Egyptian cotton bed linens with faux fur and soft woollen accents. 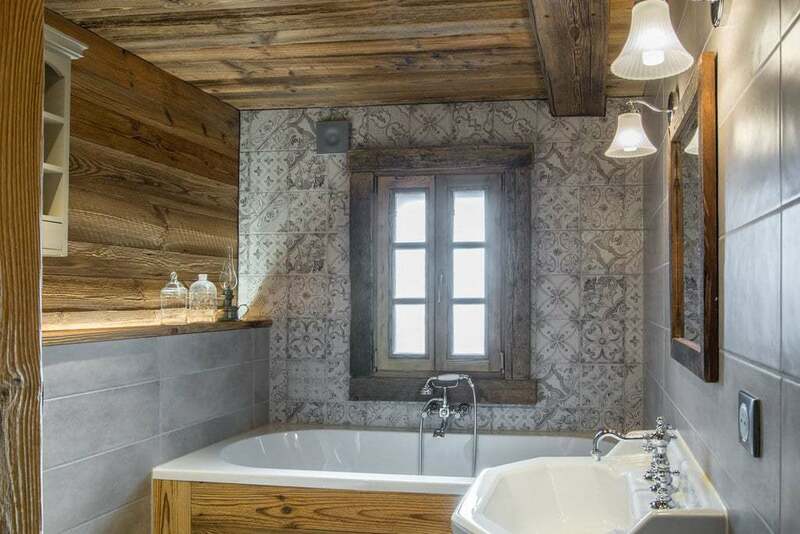 An en-suite bath or shower room is adjacent to each bedroom with tile and wood detailing around the traditional Horus silvered bathroom furnishing. 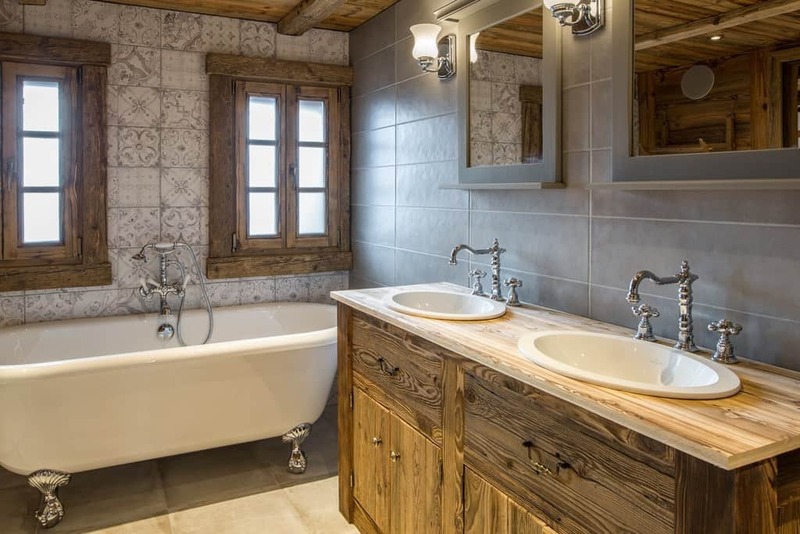 All have walk in showers with temperature controlled faucets and large rose shower fittings for a wonderful soaking. 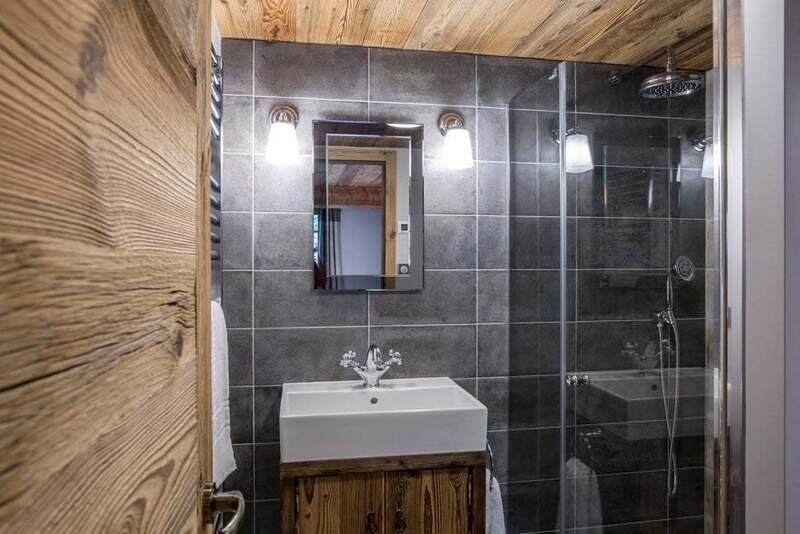 The bathrooms feature specially selected toiletries and a selection of soft fluffy towels along with bespoke Clarian Chalets bathrobes and personal slippers. Sonos speakers are available throughout the bedrooms and in the bathrooms. All of our rooms have been individually designed to create a special character from the space they occupy. 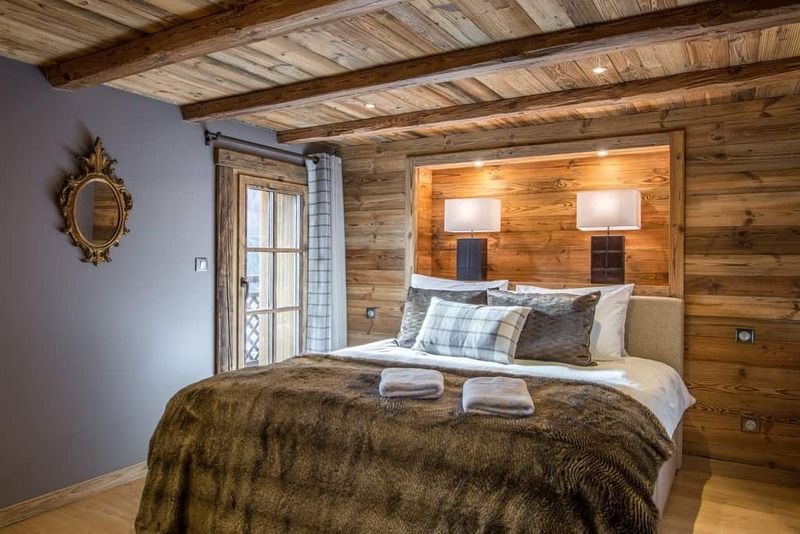 The bedrooms are finished in old wood with interesting nooks, accent lighting and built in storage. A spacious master bedroom with double bed and generous ensuite with freestanding bath and walk-in shower. Access to balcony overlooking Châtel with all day sunshine. Can accommodate an extra bed. A warm and spacious double or twin master bedroom. 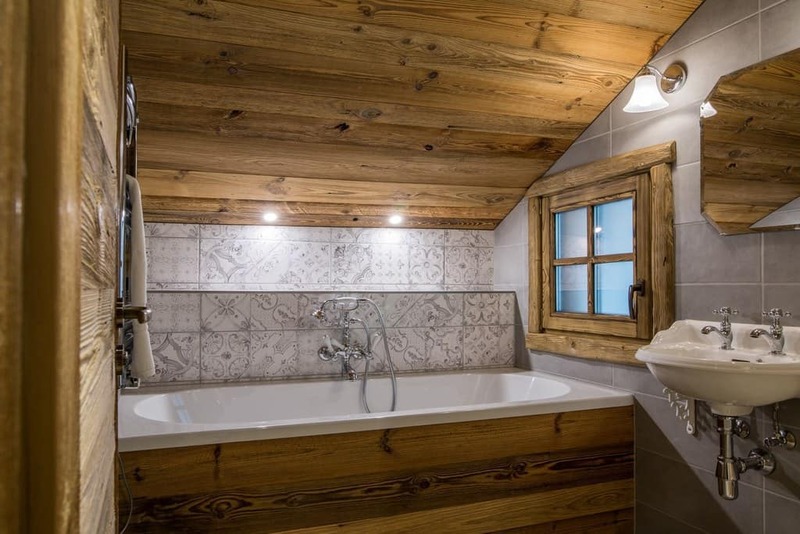 En-suite with bath and walk-in shower. Access to the balcony overlooking Châtel with sunshine throughout the day. Combines with Les Pommes Rouge to form a private family suite. Can accommodate a third bed. A gorgeous bunk room with a star light surprise. 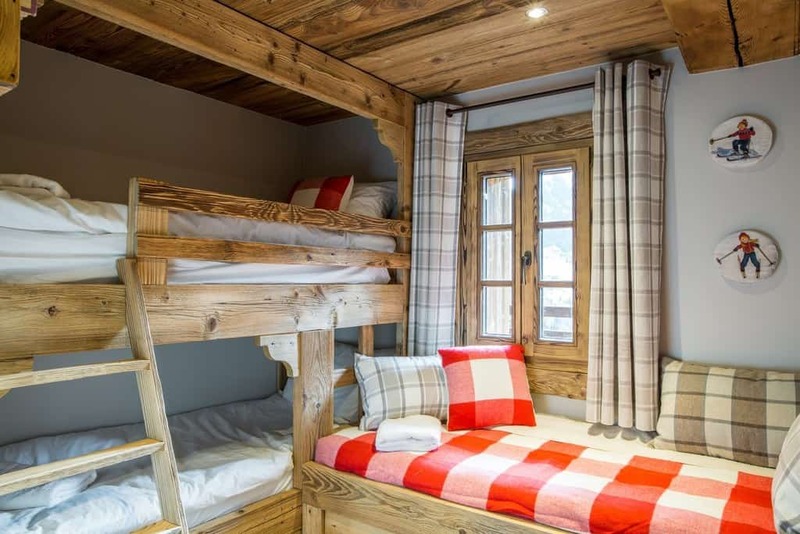 Ideal for children but with two full length bunk beds that could accommodate adults. The sofa can be made up as a third bed for a younger child. 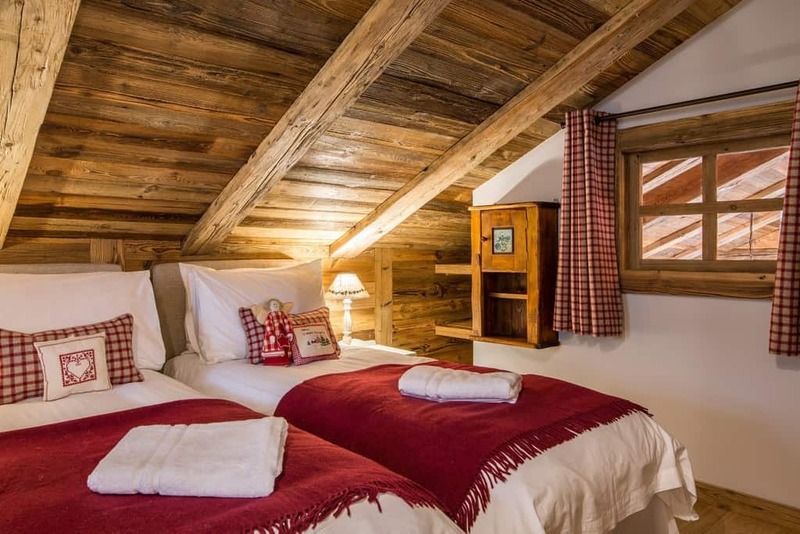 Shares a common hallway with Les Pommes Vertes to make the family suite or can be used as a separate bedroom. 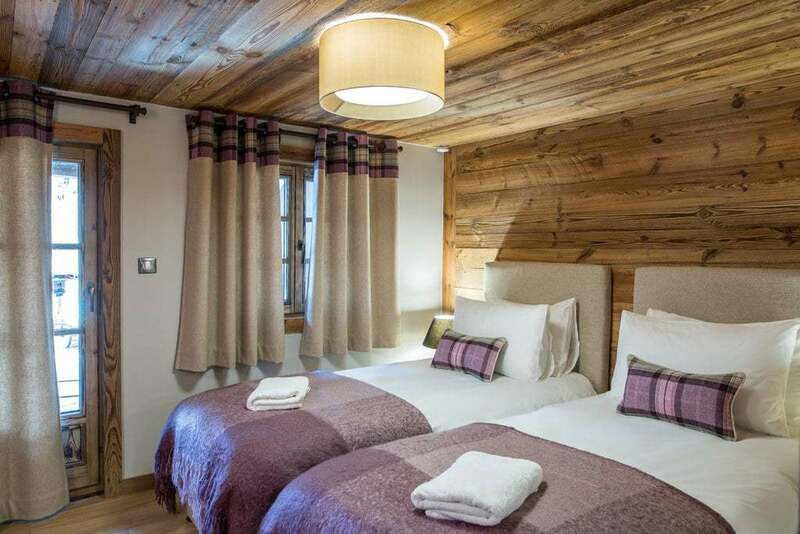 Spacious ensuite double or twin bedroom at the side of the chalet, catching the morning sunshine. Access to the east patio and picnic table. 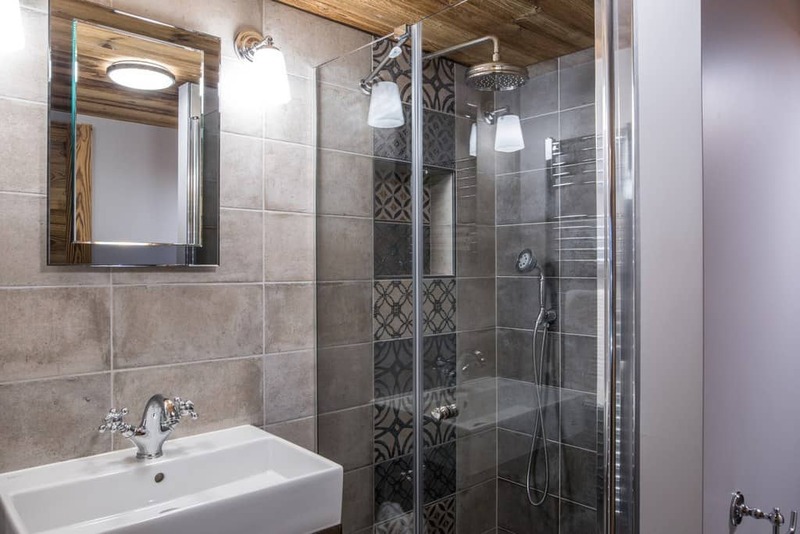 Ensuite with walk-in shower. Space for a third bed. A richly decorated double or twin bedroom with direct access to the west side of the garden, barbecue patio and hot tub. Great for watching the sun set over the mountains. En-suite with walk in shower. This is a delightfully cosy double or twin mezzanine bedroom with ensuite bathroom and walk-in shower. If you want to be able to hide away, here or in the neighbouring mezzanine snug library, this is the room for you!